Please note: Bully transformers are NOT full-range transformers. This means each model requires a "minimum" amount of glass and of course you can't exceed the maximum. Please refer to the footage chart for the minimum/maximum footages for each model. Need help let us know! designed for short lengths of glass. Fully potted for outdoor use. transformer packs a lot of power. This unit is great for Art Work, P.O.P. (Point of Purchase) displays and car neon. 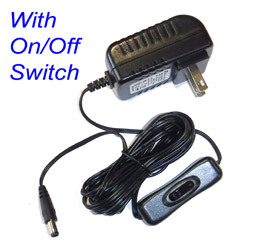 With it's very low power consumption and powerful output, this unit is ideal for battery opperated projects. This transformer is a "Full Range" model which will automatically self-adjust to the neon load up to it's maximum. Fully potted and fused for outdoor use. * Manufactured to our spec's out of the USA. This is an electronic item, All sales are final, no returns or refunds! automatically self-adjust to the neon load up to it's maximum. Fully potted for outdoor use. *The high voltage leads are approx. 11" long. *The 12vt input wires are approx. 12" long. 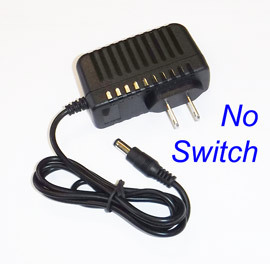 No Switch $4.95 ea. With Switch $24.95 ea.